Between seven and twenty-five percent of married or co-habitating women in the United States are victims of domestic violence. But because it is a crime that usually takes place behind closed doors and within the deeply personal framework of how couples and families interact, intervention can be difficult. In many traditional Southeast Asian cultures, the idea of interfering in situations deemed to be “familial,” no matter how abusive, is considered disruptive, disrespectful, and damaging. In this climate of cultural resistance to intervention, Mayseng Saetern works to help victims of domestic violence in her community. She brings the possibility of change to those in intolerable situations of abuse and raises awareness of domestic violence as a crime. Mayseng grew up in a small town in post-war Laos where she was exposed to widespread domestic violence. In Loation society, there was, as Mayseng says, “a strong cultural belief that once you were committed in marriage, you stuck to your husband, no matter what. Women didn’t have choices. You couldn’t return to your family, and there were certainly no social services.” As most Laotian women do, Mayseng married young. At age 17, she and her husband fled to a refugee camp in Thailand where she witnessed more destructive domestic violence. “There were so many levels of stress and people blamed each other—took the stress out on those close to them,” she says. In 1980, Mayseng and her husband arrived in the United States without any knowledge of English or any marketable job skills. She became a VISTA worker in San Francisco, teaching language skills to home-bound women within the Laotian Mien community and supporting their cultural transition. “So many other issues came up as part of this,” Mayseng says, “welfare, medical care, transportation.” Above all, Mayseng recognized that the same patterns of abuse that she had seen in Laos and Thailand continued in the United States. And here, many immigrant women were often even more isolated in their pain-coping with an unfamiliar language and customs, far away from family and friends. In 1983, as a refugee services staff worker, Mayseng was asked to be an interpreter in a police department intervention in a domestic violence situation. “I learned that there were shelters—that there were choices here,” she says. She learned about the full extent of support services which she, like many other immigrants, had not realized were available. While maintaining her full-time job with Refugee Services, Mayseng began helping to plan the Asian Community Women’s Shelter. Once the shelter was finished, Mayseng became the first and, for three years, the only women’s advocate—a position she still holds. As an advocate, she works one-on-one with victims of domestic violence, connecting them to health care, legal advice, emotional counseling, housing, and job training. Often she works with immigrant women who have followed their spouses to the United States only to find that their spouse will not help them get citizenship. Many are cut off from legal and social services and Mayseng must use her personal resources to provide them support and strength. 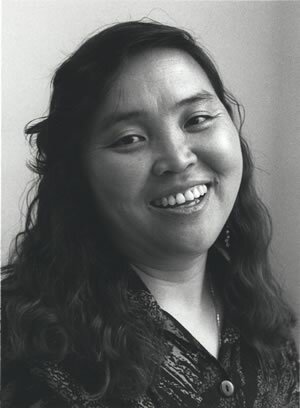 In 1995, Mayseng became the Co-chair of the Mien Advisory Committee and, in this capacity, has made sure service providers, elders, and community activists who comprise the committee, address the problem of domestic violence. In the fall of 1995, the committee organized a community forum, where discussions and workshops dealt with such issues as education, gang violence, and domestic abuse. For Mayseng, the forum was an important opportunity to educate not just women, but the community as a whole, that domestic violence is a crime. “There is a strong cultural belief that men have the right to control women—both sides need to learn that they are both responsible for their families and need to have equal input,” she says. In the face of deeply-rooted cultural beliefs about the role of women in families and in the community, Mayseng is not sure that as a woman doing domestic violence work, she will be included in planning the agenda for the new community center. Issues of confidentiality arise in her work with the women’s shelter, which, she says, are difficult for many members of the close-knit community to understand. “If someone calls my house asking, ‘where is my wife?’ he does not understand why I can’t tell him. . .There are many people who see what I do as a bad thing,” she says. Mayseng’s work has, at times, put her own family in at risk.